In progress—A south-facing entry is a warm greeting for students and staff. In progress—Low sloped roofs and red brick help the new school fit with neighborhood architecture. 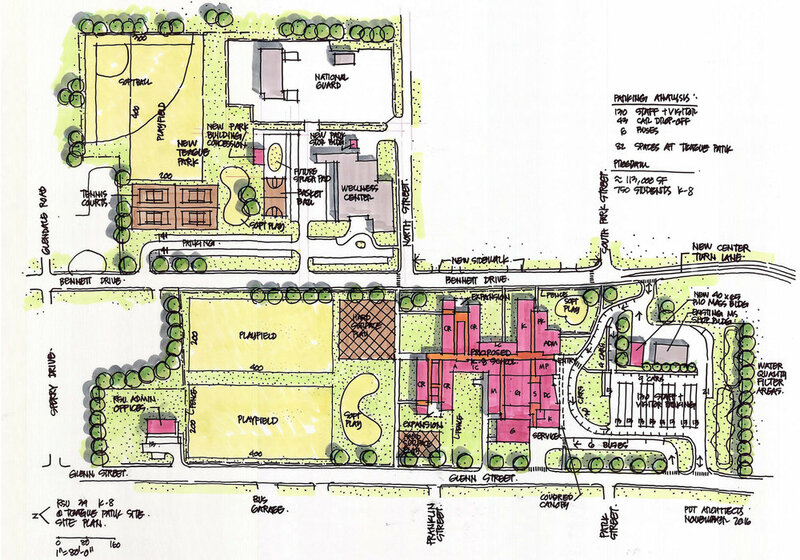 In progress—A multi-block, multi-phase master plan will consolidate 3 school facilities on a central site in Caribou. 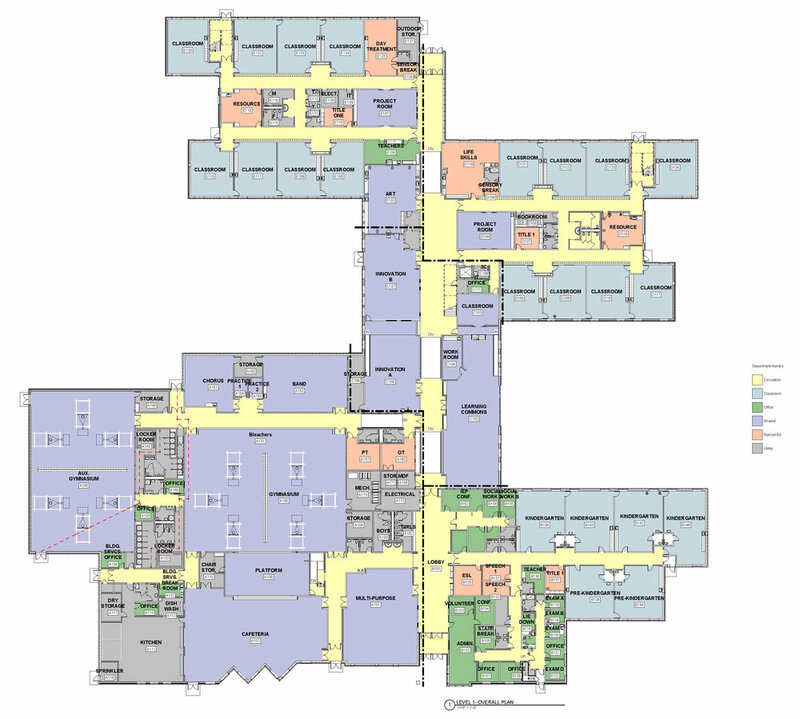 In progress—The plan arranges various age groupings in separate “houses,” all connected to the main street of the school. The innovation center, project rooms, and learning commons are at the center. In progress—Natural light and materials will be featured along the main street. 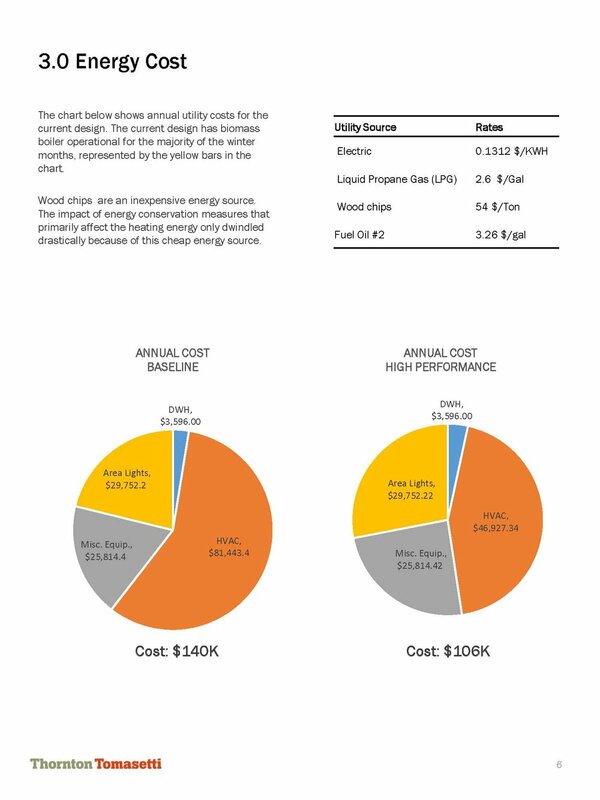 In progress—Energy modeling provides validation for meeting high-performance goals at key milestones. Regional School Unit #39 in Caribou, Maine, was chosen to receive state funding to replace the energy-inefficient 1950 Teague Park Elementary School. The consolidation of 3 aging facilities into one new high-performance school will create efficiencies made necessary by population decline in the area. The new pre-K–8 school will sit on a 17.4-acre parcel in the center of Caribou, directly across from the Caribou Wellness and Recreation Center. Close collaboration among the City of Caribou, the National Park Service, the Maine Attorney General’s Office, and the Maine Department of Education makes this central site possible. A new public park will be provided as part of the project. The website for Eastern Aroostook RSU #39 has an extensive section on the project.